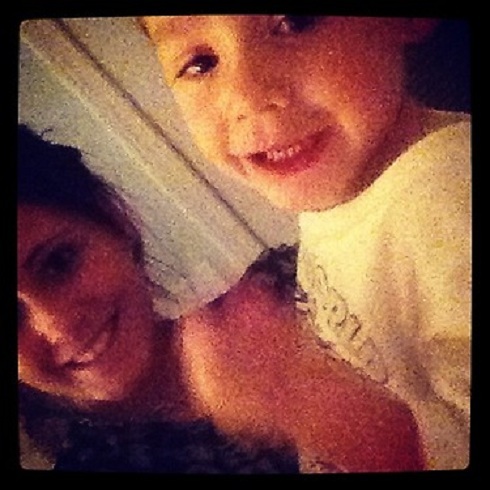 Jenelle Evans recently traveled north to New Jersey with her boyfriend Kieffer Delp. The two had just reconciled two months prior and although the trip seemed to be a great idea (Jenelle was even planning to move there,) once they arrived things went south. In the end, the Teen Mom 2 star left Kieffer behind and returned home to North Carolina, but what happened during their trip had remained a mystery, until earlier today when Jenelle took to her blog to tell all. 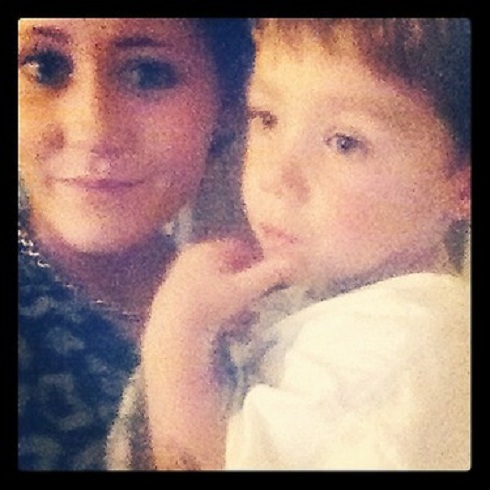 Jenelle had originally decided to go to New Jersey with Kieffer so that she could meet his family and hit up some great parties. 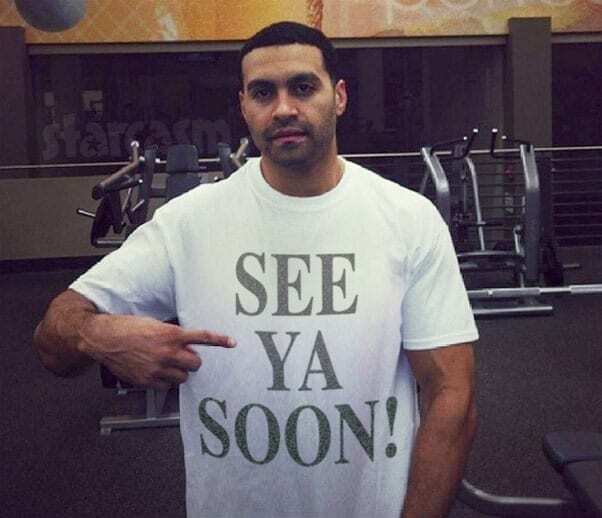 According to her, Kieffer had told her about “all these different parties we would go to, the people we would hangout with would be awesome, and my family will “love” to meet you.” But none of that happened. The two stayed at his mom’s house for their entire trip and after a few days had passed, Kieffer convinced Jenelle that the two should get an apartment there. “I’m from the north so I didn’t have a problem with that,” Jenelle stated. 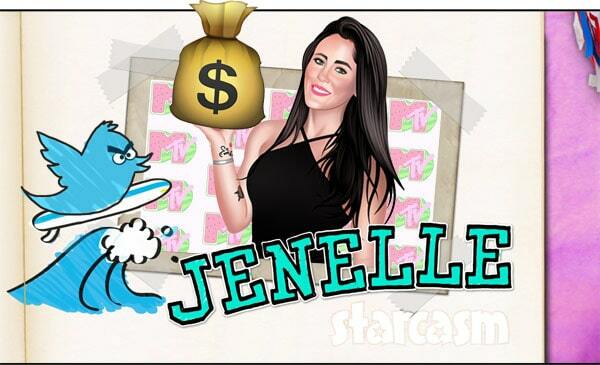 The two found an apartment and prepared to move in, but what happened next had Jenelle running for the hills. After being admitted to the hospital for an ovarian cyst burst, Jenelle was left “all alone with no support” from her boyfriend. As if that weren’t enough to send her packing, she found out that Kieffer had been abusing drugs for their entire visit. “When I heard that I said f**k it and called my mother to fly out to me so she can drive back with me to NC,” Jenelle said. “Once coming home to my moms house I felt like I was at home again and best of all I was reunited with my son who before this incident I haven’t spoken to in a month. I will never ever put myself in that horrible situation again especially if I want my son back. I can’t believe how blinded I was by these boys.” Amen. 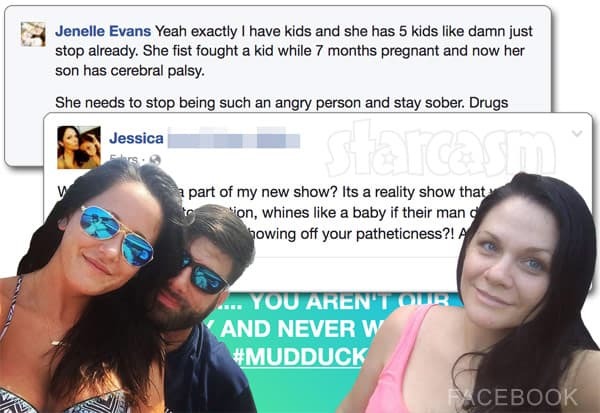 Jenelle Evans and David Eason’s sister Jessica continue feud, talk trash, post each other’s phone #s, etc.